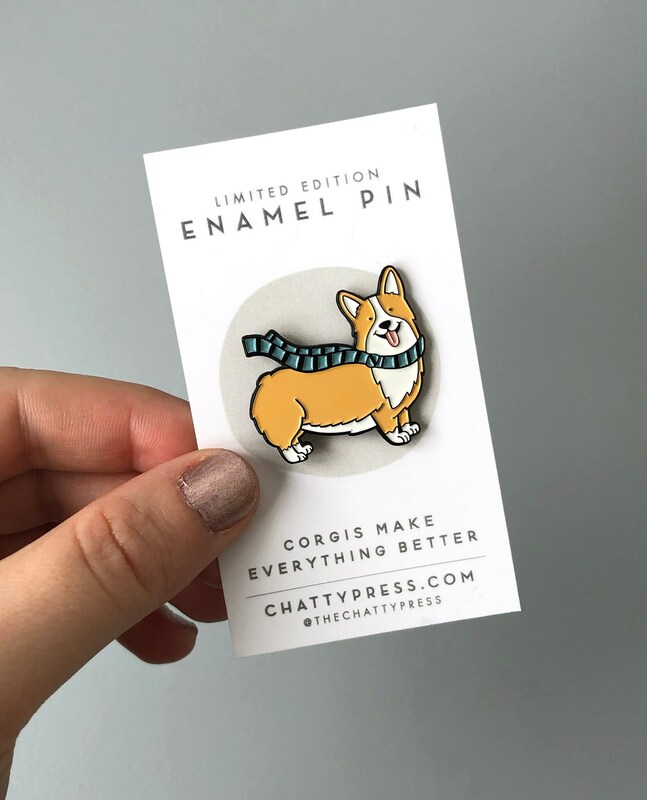 This corgi enamel pin will brighten any snowy day!! An original illustration of Einstein, the corgi wearing his favorite scarf just in time for winter! Illustration inspired by my corgi - Einstein!